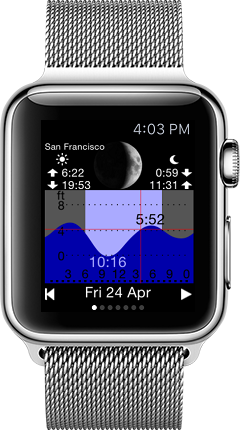 The Apple Watch app Tide Table Chart provides quick and easy access to high tide and low tide forecasts. This Apple Watch app can be used without connection to your phone. But you should run the iPhone app Tide Table Chart once per week to update the tide data on your watch.